BetOnlineBlackjack.net | What is The Paroli Betting System? Any player could apply this system. It is not complicated, and even if you are at your first online experiences, you won't have any troubles understanding it. It is also a money management system; therefore, you might combine it with some systems of your own. The basic principle is progression, as you will need to raise or lower your bets as the game progresses. Let's suppose you are betting 1 dollar. If you win, it means that you are richer with 1 dollar. The Paroli system says that you must gather all your current winnings for the next bet. Therefore, you must bet 3 dollars on the next hand. If you are a winner, you will have 6 dollars on your hand. Of course, you will lose at a certain time, and you must return to the initial bet. This is called a positive betting system and it could be applied even for small bankrolls. The most important characteristic of the Paroli system is that it could be applied anytime. It is also suited for any kind of game where the winning chances are 2 to 1. Therefore, you could apply it for the roulette on odd/even or red/black bets, or even on sports bets where you have a 1:2 odd. However, blackjack remains the main game used for the Paroli system, as this game always offers 1:2 odds. You could consider this system as a ladder that needs climbing. While the strategy is not suited for those players that are expecting maximum from all their bets, the strategy is used successfully by cautious players that would be happy about a 5 percent Return of Investment. This means that you should apply this system until you win 5 dollars on a 100 dollars investment. 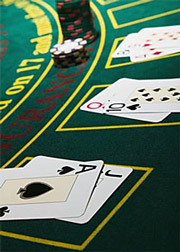 Don't be greedy, switch the blackjack room from time to time and don't forget about other money management strategies. The Paroli system is one of the best positive gambling strategies. While it is not as spectacular as the Martingale system, many established players apply the strategy successfully. Moreover, the strategy could be lucrative if it is combined with some other in-game strategies.